You can also CUSTOM Order colors of your choice! This Oversized Infinity Scarf Cowl / Wrap is the perfect fashion statement for work or play! If you freeze at work, this scarf will keep you warm for sure! It is one HUGE circle and it can be worn as a trendy single loop (recommended with the loop behind you) or double it for a super chunky infinity scarf cowl, or even slip part of the scarf over your head, loop it & have a chunky hooded cowl. 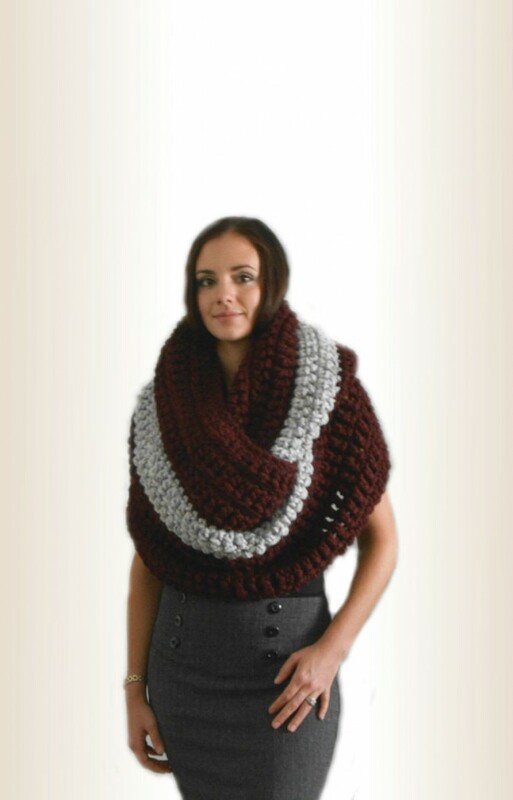 This Oversize Super Chunky Infinity Scarf Cowl makes and excellent gift idea for someone special! ← 2 Sisters Handmade is NOW Shipping Internationally!